2015 Girls U14 GLGHL Red Division Champions! 2014 Marching Into Spring Tournament Champions! 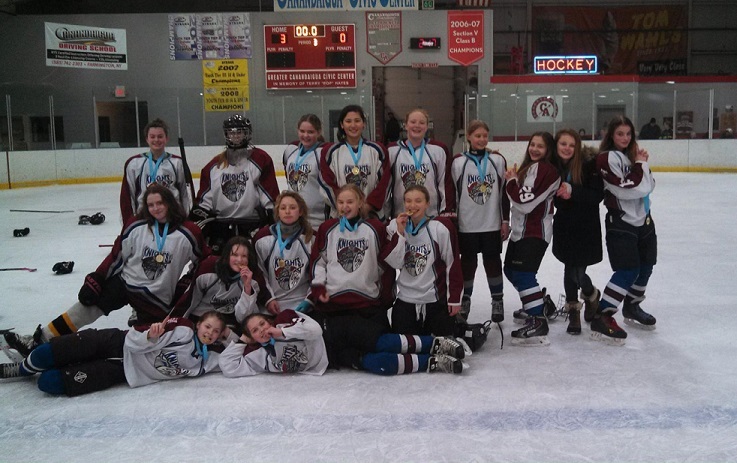 Congratulations to our Girls U14 team for winning in convincing fashion at the first Marching into Spring Girls tournament this past weekend at GCCC. 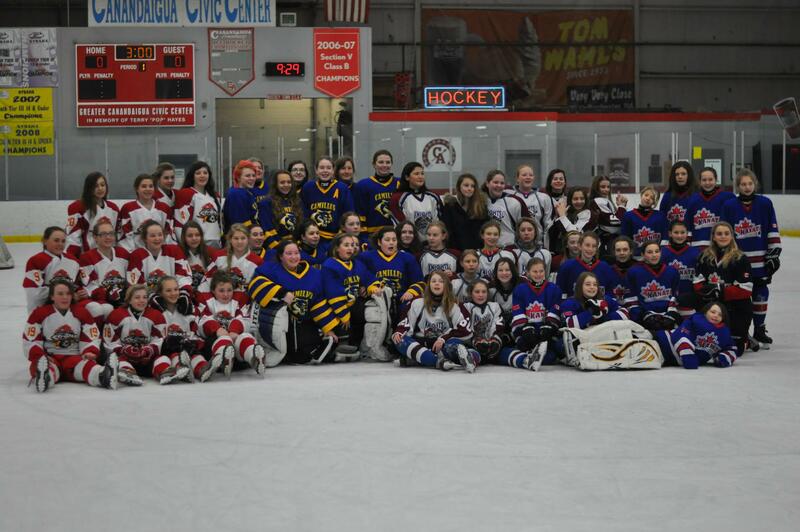 We hosted teams from Northern NY (Saranac Lake U14), Central NY (Camillus U14), and Ontario Canada (Kanata Krusaders). We had great girls hockey all weekend and our girls played their best to upset a strong Camillus team in the final; winning 3-0. 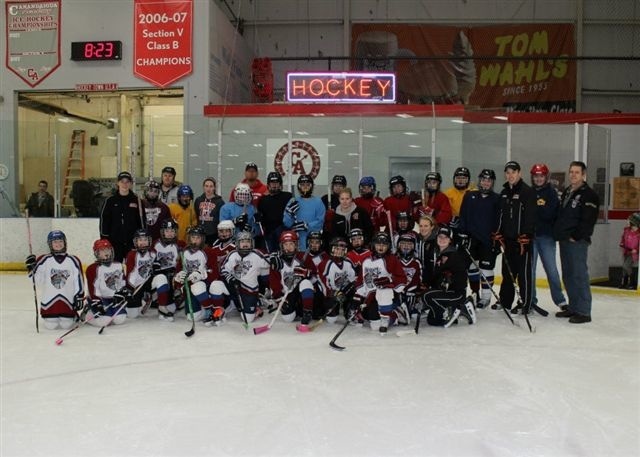 Our 10U and 14U CKH Girls participated in a practice and reception with the RIT Women’s Hockey Coach and Players. 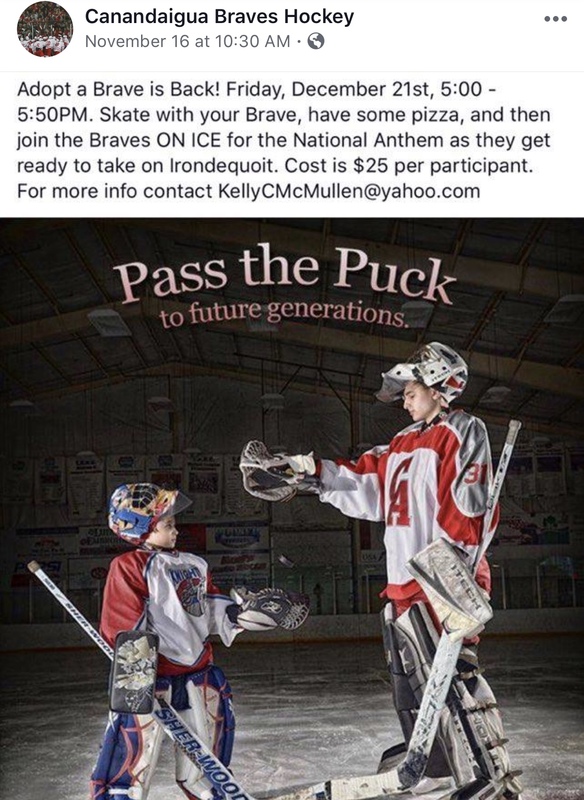 On the evening of January 24, 2012, RIT’s Head Coach Scott McDonald and four players came to our rink, the GCCC, to run a full ice practice and meet our players during a post practice reception. The girls had a great time skating with these very talented collegiate players and discussing hockey while enjoying snacks. RIT women’s hockey team finished this season with an impressive record (23-1-1, 16-1-1 ECAC West) and is ranked first in Division III. Skating with such talented collegiate players is such a great opportunity for our girls. You can visit RIT Womens Hockey by selecting the following link http://www.ritathletics.com/index.aspx?path=whock.